Although there is no entrance fee to the Pantheon but many other museums and historic sites do. 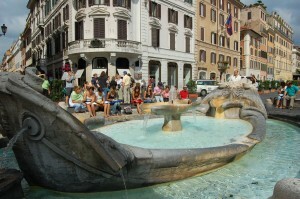 A Rome tourist pass can be economical and/or convenient in certain circumstances. 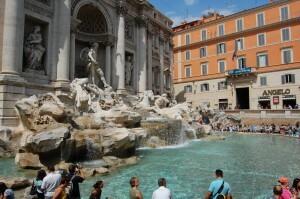 Many countries has tourist pass and the one in Rome is called Roma Pass. As always, it’s only a good deal when you do plan to use the public transport a lot and visiting many museums and archaeological sites. Here are more details about the passes. discount on tickets for other museums, exhibitions, events, tours and archaeological sites. If you have children with you, you may want to visit the amusement parks and the Roma Pass offers you discount for them. Alternatively, if you want to take a tour or try something different, say, see Rome on a Segway. Then there is a deal for that too. There are two passes available. For details, check out the Roma Pass’ official site here. 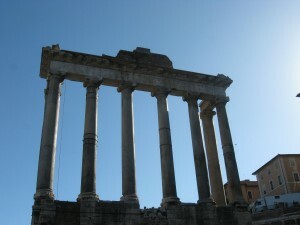 Get a free taster walking tour in the Forum. There are tour guides who give out short free tours in the Forum as a taster and up to you to join the paid one later of the day. Some of them are good.